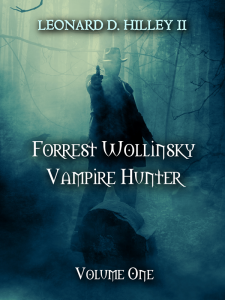 To get your free copy of Forrest Wollinsky: Vampire Hunter delivered to your inbox, please subscribe to my Readers’ Group. Periodically, you’ll also receive updates of new releases and other free giveaways. You may unsubscribe at any time. Please note that we value your privacy and at no time will we spam you. We won’t share your information with outside parties, either.